The 2018 Mazda3 Four-Door Grand Touring Review: A few car companies are doing something that would have been unthinkable just a couple of years ago: dropping small cars from their lineup. It started with Fiat Chrysler Automobiles deciding to kill off the Chrysler 200 sedan, a car that wasn’t all that bad by the end of its life. I liked a lot of things about it, but FCA decided to pull the plug and stop investing in small cars completely. There’s more money to be made in trucks and SUVs, so that’s where they’re focusing instead. Now Ford is hinting that it will be dropping some car nameplates from its lineup, too. And it makes sense in a way. If you’re investing billions of research and development dollars into future products, it’s better to pour your money into high-profit crossovers and SUVs than low-profit sedans that buyers seem to be abandoning anyway. I think that’s short-sighted for a number of reasons. It eliminates the first step in the buyer funnel that General Motors pioneered 100 years ago, selling affordable, basic cars to masses of people who would move up to bigger, and pricier models later when it fit their changing life stages. Even more critically, killing small cars will leave companies woefully unprepared the next time gas prices spike. It’s just a matter of time. I also think buyers wouldn’t be shying away from compact cars if Ford, Chrysler and other brands could build more compelling products like this one, the Mazda3. To me, this car is the perfect template for what every manufacturer ought to be doing to breathe new life into compact vehicles. It gets great gas mileage for starters, rated for 38 mpg on the highway with its 2.0-liter, four-cylinder SKYACTIV-G engine. Other brands seem to be letting their investments in traditional fuel-saving technology evaporate, spending it instead on headline-generating hybrid and electric vehicles that represent a tiny sliver of the market, while Mazda shows everyone just how much farther there is to develop and improve the internal combustion engine. Second, the Mazda3 is really, truly fun to drive. It’s obvious that the steering, suspension and brake feel were all tuned by people who actually care about those things, something you can’t say for most of its competitors. It makes you feel connected to the road in an exciting, visceral way, one of the chief selling points for compact cars that too many other companies have forgotten. Third, it looks great inside and out. Looking at most cars in this class, I get the impression they were styled to be inoffensive to focus groups, to be cheap to produce, or both. Again, it’s like the people at Mazda actually care about small sedans. And, sadly, that’s what sets the Mazda3 apart. 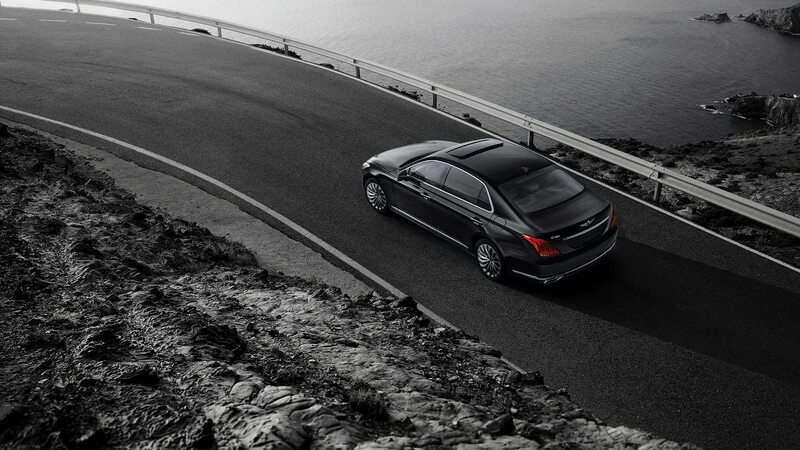 It’s not that its size, trunk space or horsepower are in any way exceptional. It’s that so many of its competitors feel like they’re throwing in the towel, resigned to a drab world where fun-to-drive sedans are disappearing in favor of bulbous crossovers. If that’s the future of the automobile, it’s a depressing one. It makes me wonder how many more cars could be sold if manufacturers put in the time, money and effort to make them as spectacular as this one. Why buy it? It’s a spectacularly good compact car. From the way it looks to its crisp, sporty driving feel and excellent gas mileage, it’s clearly built by people who make small sedans a priority. The Bottom Line: The 2018 Mazda3 Four-Door Grand Touring has an expressive, flowing, athletic look that matches its fun-to-drive feeling from behind the wheel. It’s a vehicle that appears and feels much more expensive than it is, with a starting price around $18,000. This new Mazda3 has a stylish, well-built cabin with a generous level of equipment for the price. The Mazda3 shows just how great compact cars can be when companies invest in their entry level product lines. 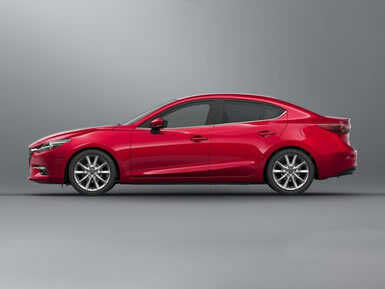 And looking at this one I think someone at Mazda said, “Let’s make our low-priced cars look like they’re expensive.” The body is expressive and distinctive, and the nicely styled cabin uses more soft-touch materials and tighter construction than you usually find in compact cars. And maybe, just for those reasons alone, you should “Drive one, Buy one, Today ©”.